Este medidor de energía trifásico de 4 hilos utiliza circuitos LSI espaciales y tecnología avanzada. Es un aparato preciso, fiable, ligero y compacto. The current specification is an important parameter for energy meters as it signifies a meter's ability to accurately measure the power consumed by a user's electrical load. 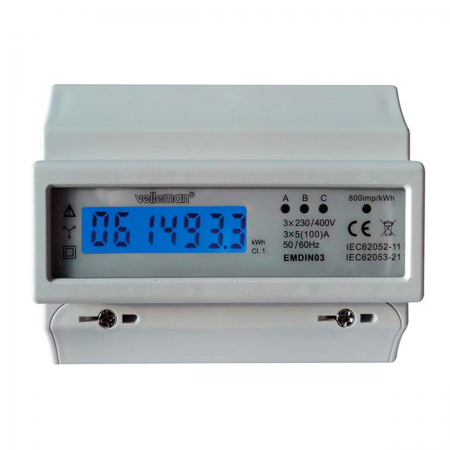 There are generally two parts to this specification: the basic current (Ib) for direct-connected meters and the maximum current I max. Of these current ratings, you will typically see the current specification defined in terms of Ib with the I max value shown in parentheses. For example, some common values for the energy meter current specification include 5 (40) A, 5 (80) A or 10 (100) A.